Kevin is a 4th generation painter and is originally from Louisiana. He has 20 years painting experience. He also learned from collective experience he gained from working with his grandfather, father and from listening to his great-grandfather, who founded the family painting business in 1948. If it can be painted, Kevin has and can paint it! 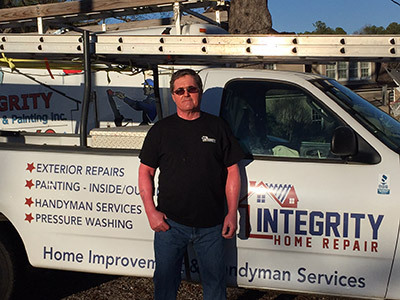 Craig got his start in construction at age 14 when he finished his Mothers basement. He then learned how to frame homes and pour concrete foundations while working in Colorado and Wyoming. When he found it too hard to make a living in the sub zero temps of the Wild West, Craig headed East and worked in Fl and Al for 15 years. Craig eventually landed in Raleigh and fell in love with the area and the southern style interior trim work (spoken like a true carpenter!). Craig is a true craftsman in every sense of the word and finds great joy in quality work. 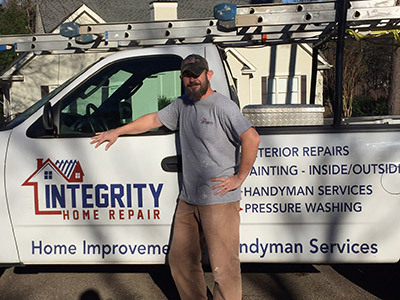 Until he joined Integrity Home Repair and Painting, Rik spent 10 years working in the Ft. Bragg housing maintenance department performing various duties, including drywall repair, painting, light carpentry, floor installation, appliance installation and general maintenance. Rik lives in Raleigh and has also spent the last 30 years as a working musician so feel free to talk music with him while he works! 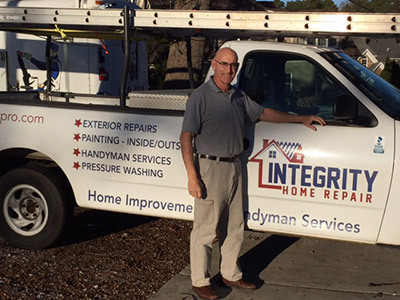 With more than 3 decades in construction management, Jim brings lots of specialty contracting experience to Integrity. 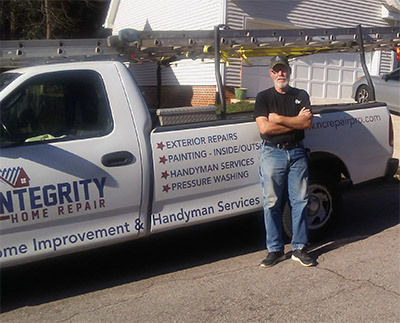 He has first-hand knowledge of foundation repair, waterproofing, crawl space encapsulation, pest control, coatings and remodeling. Jim’s broad range of experience benefits Integrity clients because of his clear understanding of the total structure. Jim is a graduate of Georgia Tech (Don’t worry UGA fans, he will do a good job for you too!). Jim is also a licensed NC Provisional Broker and property manager, so he understands how to protect our clients’ investments. Jim has wide array of interests including Cajun and Zydeco dancing, rugby, meeting clients pets, landscape gardening, physical fitness, cooking and traveling the US and abroad.